Searching for a job? Have questions aplenty? How do I go about finding the ideal career for me? How do I hunt for a job? Whatâ€™s the best resume format for me? How do I go about writing my resume? What is a cover letter -- and why is it important? How can I get more information about my career? How do I go about getting information about companies? And why is it important to do so? What are the most common job-interview questions? How should I best prepare for job interviews? How do I go about finding a new job? These questions and many more will cross a job seekerâ€™s mind. Here are a few useful tips to help you realize your dream career. How do I go about finding the ideal career for me? Believe me; youâ€™ll have to do all the work yourself. You need to reflect and do a self-analysis. Set yourself a goal or a career statement. Analyze your interests and likes and dislikes and then research various career options to find what kind of a job would suit you. You can also perform a SWOT analysis on yourself and your career. It can help you to identify your strengths and weaknesses and help you to develop your strategies accordingly. Understand the values you highly cherish and assess whether your employer supports those values. You can also find a guidance counselor, career counselor, or other career professional who can work with you on a one-to-one basis and help you develop a career plan. How do I hunt for a job? How do I go about writing my resume? The content in your resume is very important. Write a career objective that will focus on your accomplishments and skills to help sell you to your prospective employer. Tailor your resume to the specific job you are seeking. Use powerful keywords for effectiveness. Take time to write and rewrite your resume and edit it. Proofread for spellings and typos. This will help to improve the quality and strength of your resume. A cover letter is like an introduction that highlights your accomplishments and fitment for the job. Why is a cover letter so important? 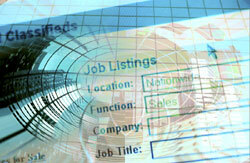 A resume is of limited value to an employer if he or she doesnâ€™t know what kind of work you want to do. A cover letter tells the employer the type of position youâ€™re seeking -- and exactly how you are qualified for that position. What are some of the most important tips when writing a cover letter?